Organise your projects like a pro with Team Task. 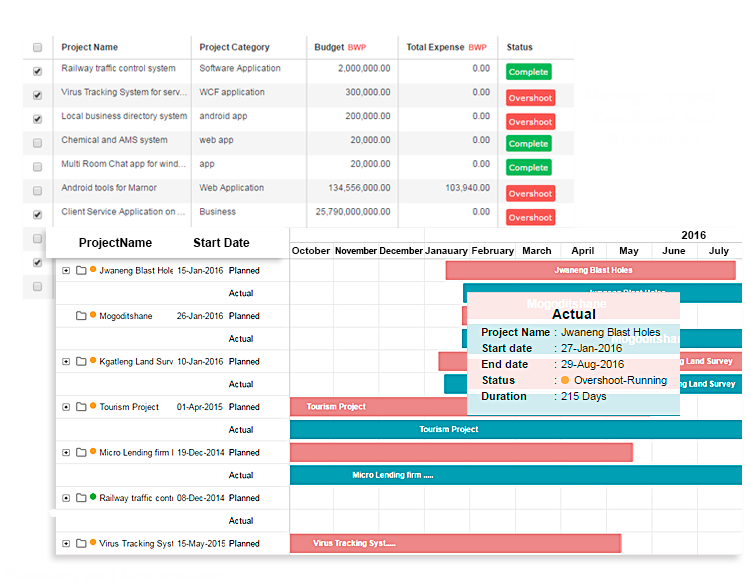 The project management module gives you tools to monitor execution of the projects, keep track of the budget, expenses, employees time & risk management. It also sends notification alerts for important milestones. With Team Task, you can assign tasks to employees. Keep track of the execution of tasks, get updates on the tasks with time logging & timesheets. The tasks which are overshooting deadlines will send notifications alerts to employees & their managers. Streamline the workflow of your deliverables & execution. 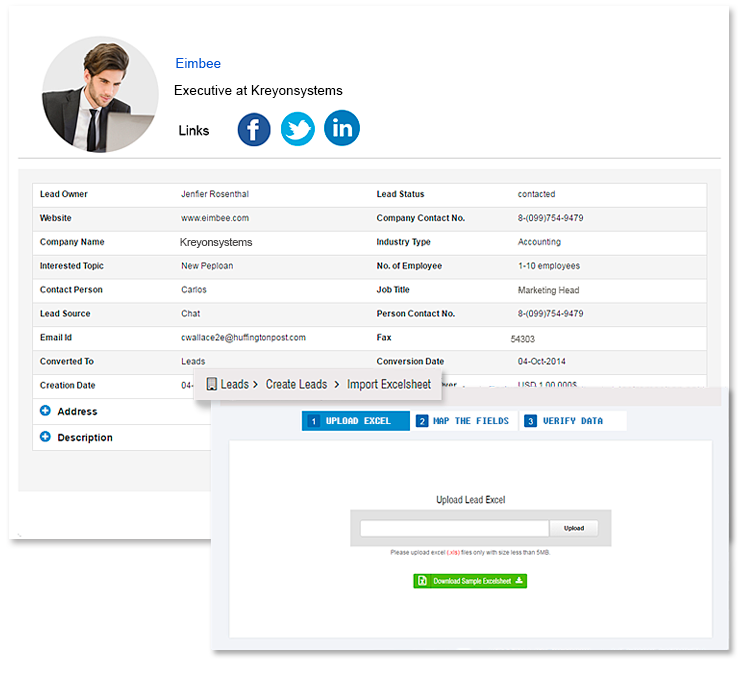 Generate dynamic quotes and invoices with multiple taxes, currencies and send it to the prospected clients & opportunities through Team Task. 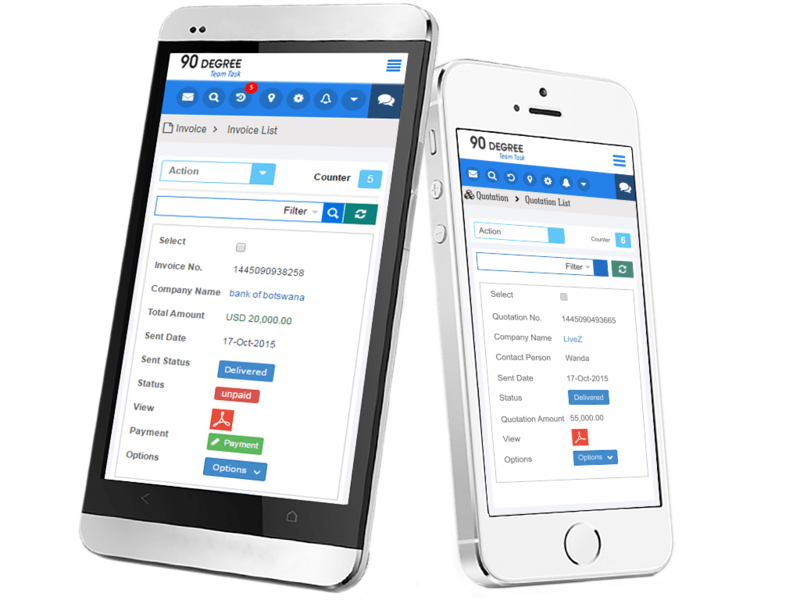 Keep track of paid, unpaid & partially payments of the invoices and record revenues for your company. 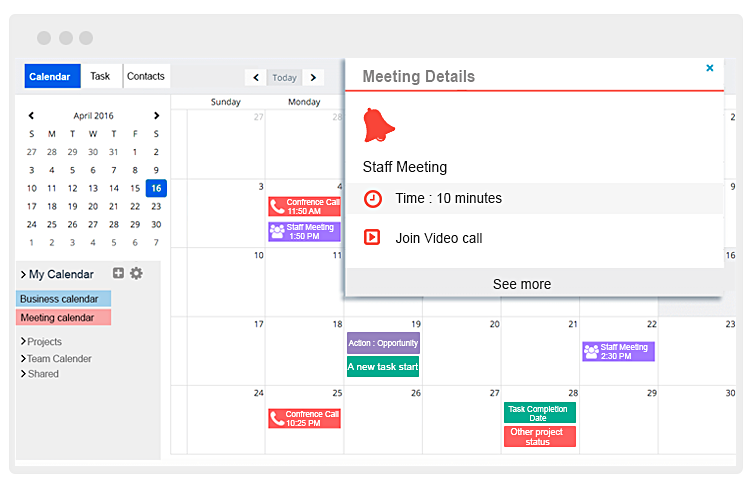 Team Task Scheduler is a powerful tool which helps you schedule your meetings, calls and appointments. You can schedule your meetings and invite related people by auto generated invitation emails and notifications. You also get reminders for scheduled meetings. You can invite clients for meetings by using the team task scheduler. Provide your employees sophisticated tools for productivity. Assign tasks to employees & track the status. Engage them in meaningful conversations through discussion boards. Empower them with tools to log time for their works. 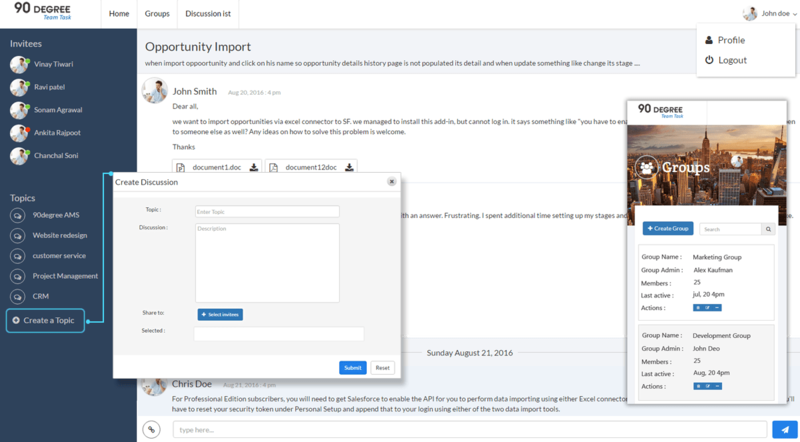 Track employees' communications with your customers & get feedback for their services. 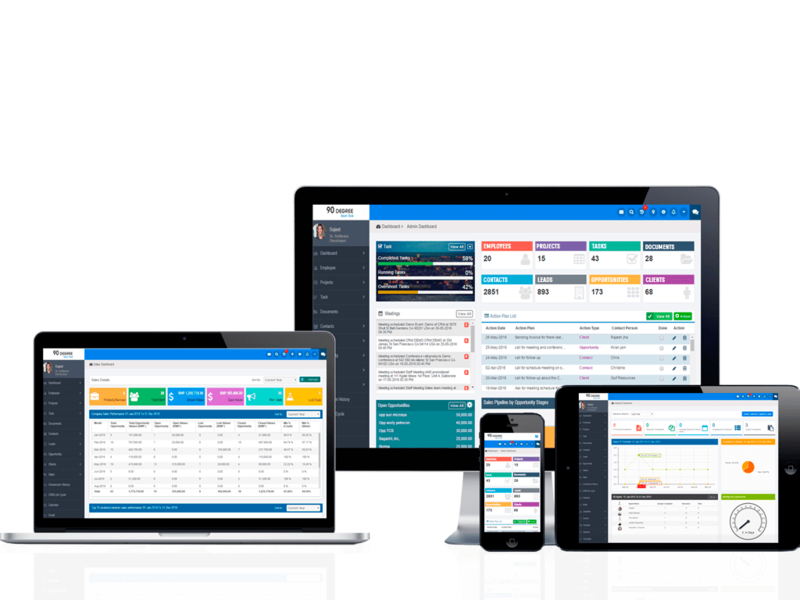 Manage their timesheets, growth & performance. Maintain your documents with the virtual directory & separate folders. 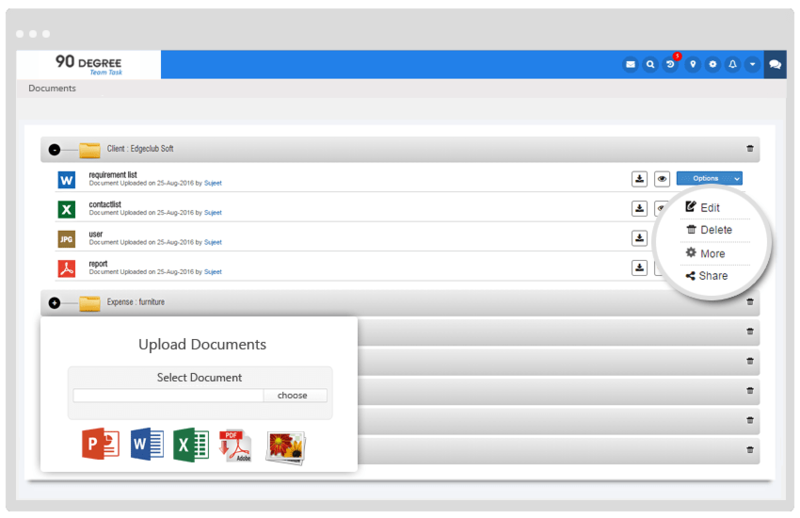 You can upload multiple documents and share these documents with your employees. Tags for searching your files. Access your files over cloud, anytime anywhere. Reflects a purchase made on credit. Reflects the charging to expense of an asset, such as depreciation expense on a fixed asset. Reflects a payment not involving trade payables, such as the interest payment on a loan, or an accrued expense. Grow Your Business by streamlining your marketing efforts. Get more Customer Acquisitions with streamlined workflow for Salespipeline. Import Contacts from business directories, yellow pages & translate them into qualified leads. 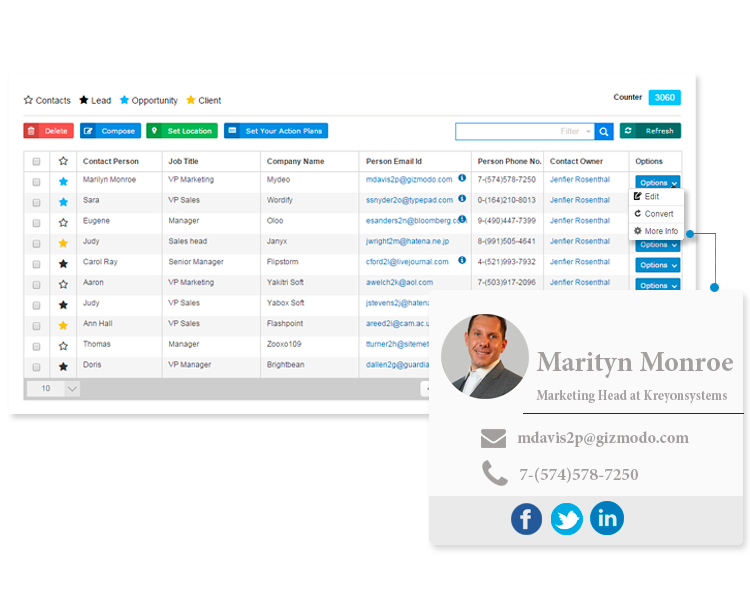 Use Team Task's advanced search filters for better lead prospecting & conversions. 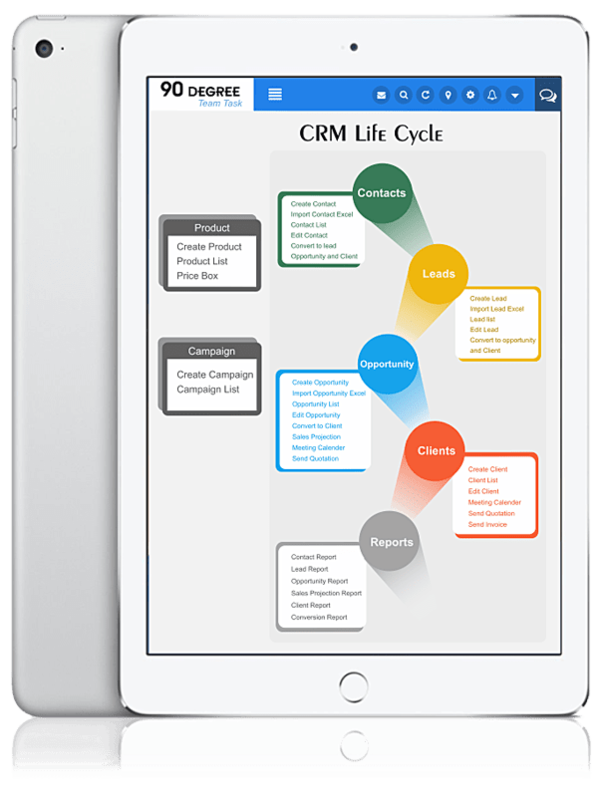 Empower your sales staff with the best in class CRM solution with mobile access for faster conversions. 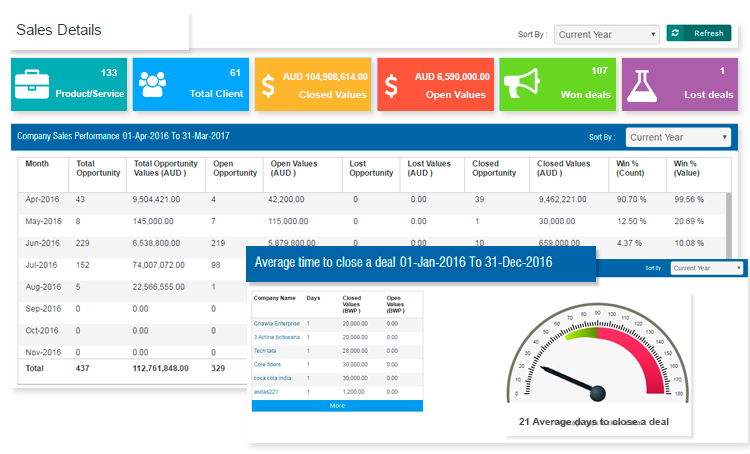 Access leads, data & history of your prospects to convert deals faster. Team Task has a proven methodology for shortening sales cycles & helps business development activities with real time analytics. It offers data Insights, step by step conversions, sales planning, meetings & everything else you need to sell your products/services more effectively. 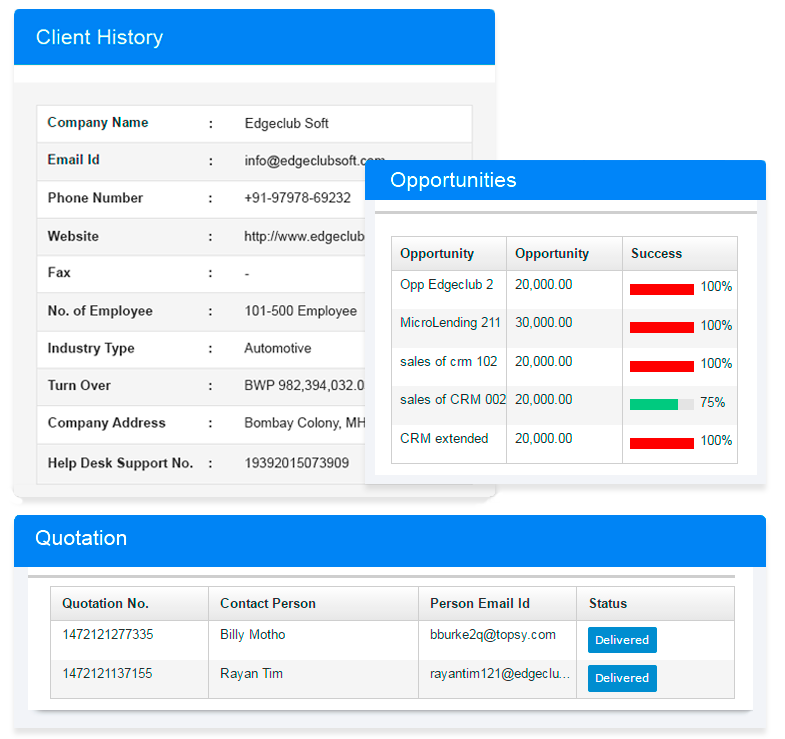 Manage your contacts with unique contact list that helps you to differentiate your valuable contacts & decision makers at a glance. 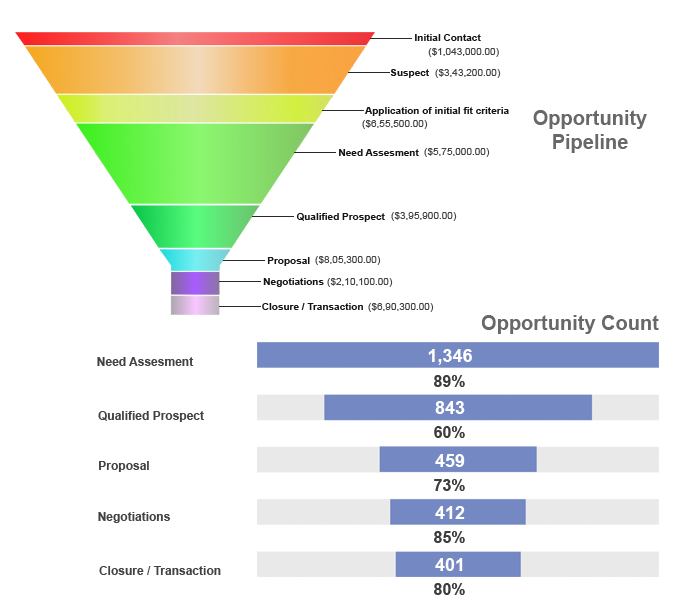 Apply advanced search filters & filteration to generate leads. Import contacts from your existing excel sheets in seconds.  Team Task is also equipped with business directories where you can search and import business contacts for quick conversions. Stay up to date & know everything about interactions with your contacts through history. Team task gives you the provision to import leads, convert contacts to leads with criteria based filtration or capture them from your home page as web leads. The step by step plan ensures that no action item is missed & leads are handled with high priority. Proactive notification alerts for conversions, events & action items are sent to individual owners. Product & Service sales pitches, descriptions & files are shared to the lead owners for helping them convert leads faster. The execution at each step & all communications with leads are recorded. Collaboration, information sharing & action items are organised on the dashboard for the lead owners. Measure, track & manage your opportunities with real time data & analytics. Team Task helps you organise all information about the prospects, interactions & history at each step. The auto tracking, follow up & best practices for sales allows for better conversions. More accurate sales projections based on opportunities at hand. Sales pitch for your products/services, demonstrations, quotations, & conversations with the clients to faciliate quicker business results. In this consumer driven age, what sets apart great companies is the service they provide their customers. 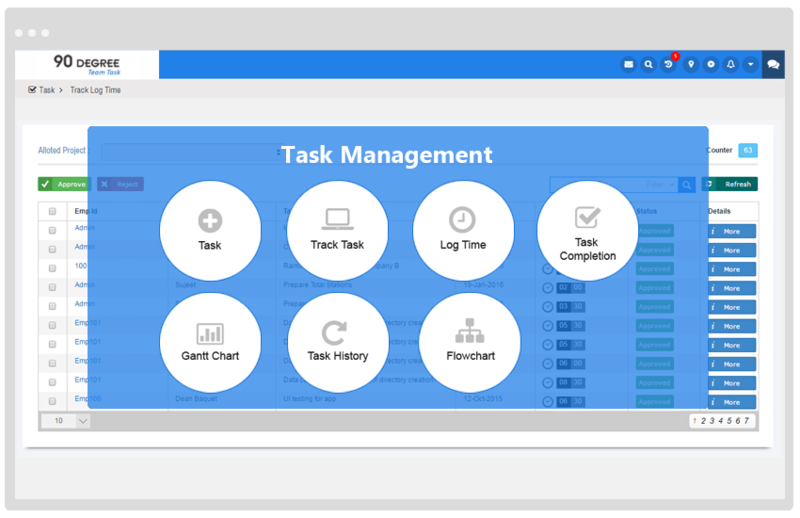 Team Task helps you achieve great service for your customers by providing tools like Help desk management, Live chat, & Realtime Support. The profile of all your customers with all historical data is always available for reference. All meetings, discussions, calls, queries, complaints of your customers are available at a single click. Get alerts & notifications for customer issues instantly. Make a great impression with excellent customer service, use online monitoring tools in Team Task to know what customers are saying about you. Approach your existing customers for new products & services. Start your internal Discussion with your Employee,Department,Team members. you can post and share your innovative idea with specific member you can share your post on social networking site like Facebook,twitter,LinkedIn. Team Task enables you to not only enable Sales automation, but provides actionable insights to improve revenue metrics. It helps you answer these questions with upto date details. Use our help desk tool to communicate with your customers. Our clients can use this feature to communicate with their customers. An elegant system for dealing with inbound ticket requests from any channel. Team Task provides 24/7 support to help customers & answer their queries. 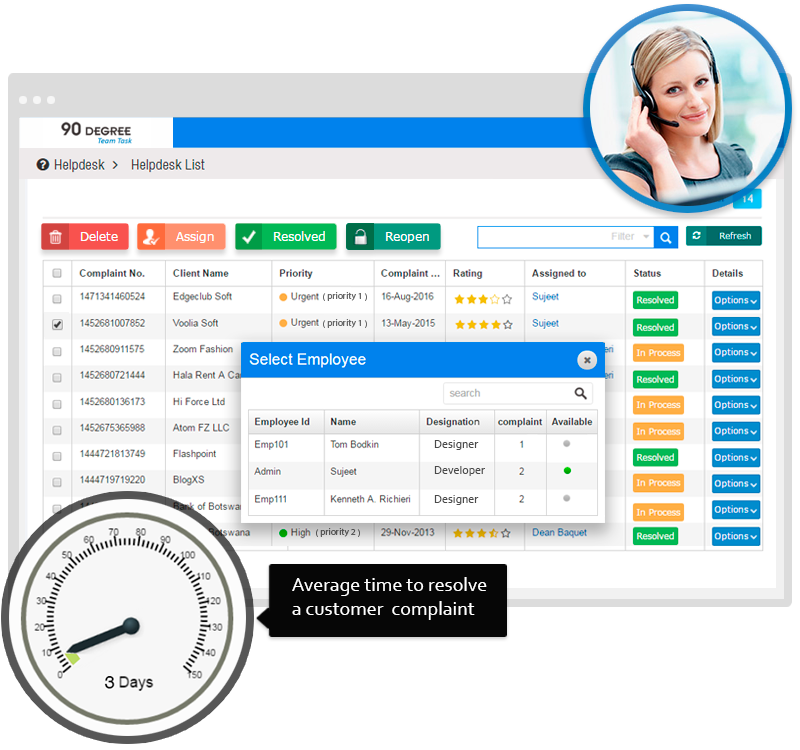 Your customers can log requests, complaints & communicate with you using Help Desk. With help desk support, it is easy to improve your customer's satisfaction and your support team’s performance. You can provide Live chat support, Call center support, Email support for your customers. Team Task helps makes your customer service experience better. With Team Task you can manage & promote your brand like never before. Creating campaigns for your products & services is easy. 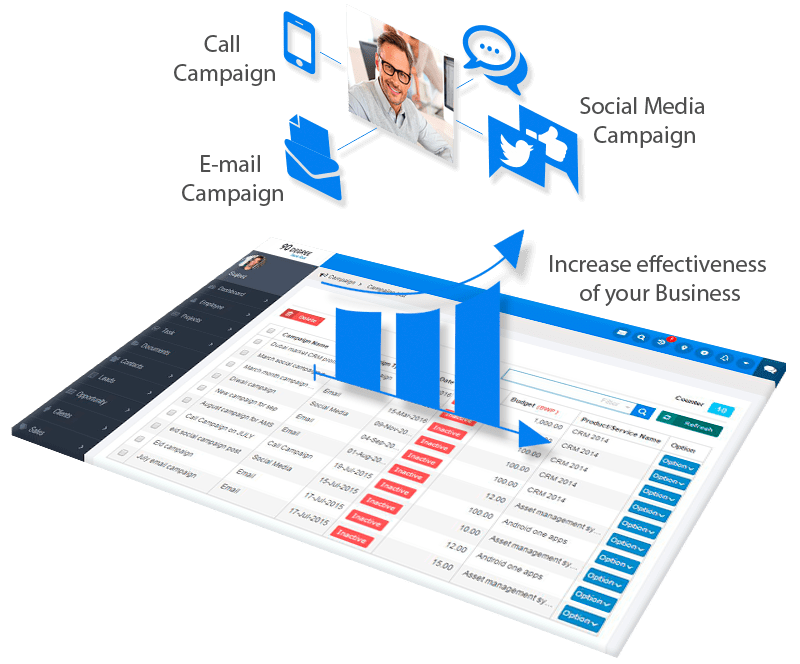 The campaign management allows you to create campaigns for Email Marketing, Social Media Campaign, Radio, TV advertisement, events, Print media and others. Maintain budgets, resources & time for all your campaigns. Manage all your campaigns, track their Return on Investment & follow-up with the prospects. the results of each type of campaigns with detailed statistics. Team Task is a repository for your brand. Mainten all your products, services, their details, brochures, FAQs, quotations, & other relevant material. The teams can collaborate & get the latest information on their finger tips. With all information about products/services organised, introducing them to your prospects is very easy. Manage price book, customer support and other related documents for your products/services. 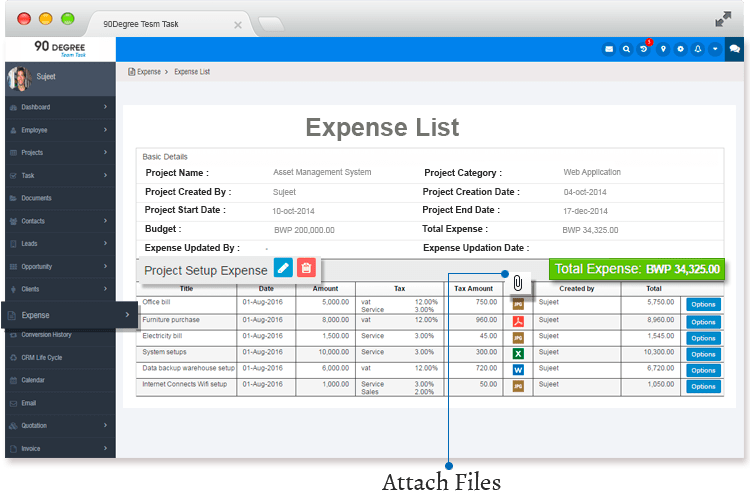 With Team Task you don't need consultants for your business reports. 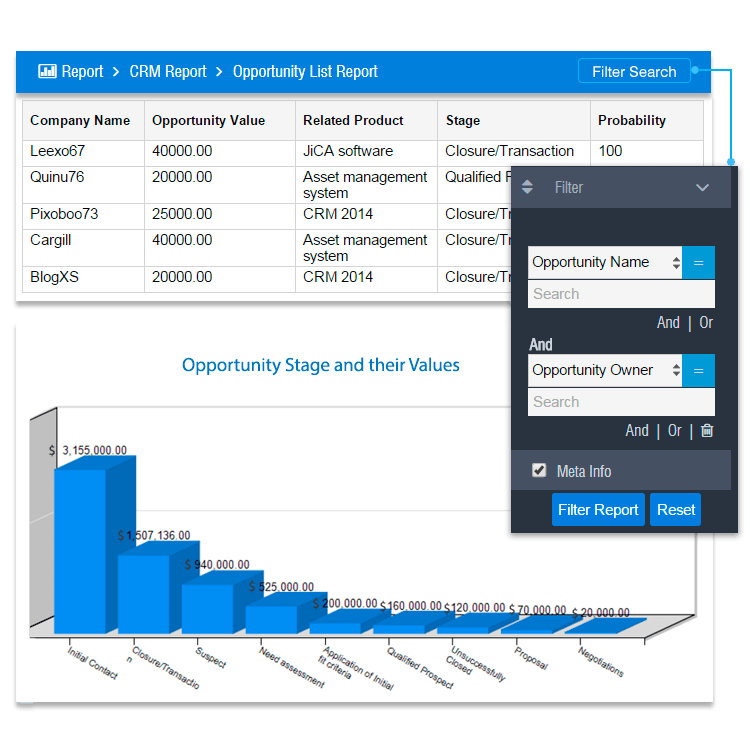 Generating business reports has never been easy. Team Task is equipped with the state of the art reports with powerful tools like BYOR: Build Your Own Report. With this, you can select the module, click the fields, the number of columns, their names, 3D charts, pie charts & graphs. Save & name the report. It is that easy. It takes less than 5 minutes & no consultants for you to migrate your existing reports to Team Task.